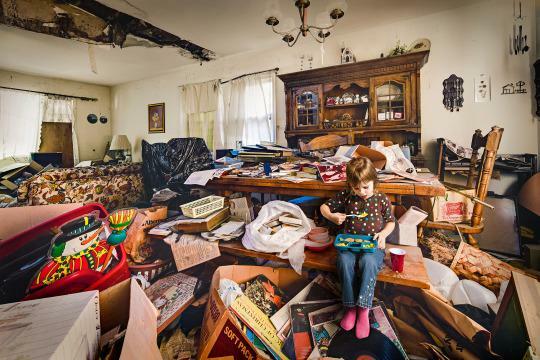 It was written by 2 siblings who grew up in a home that was overrun with clutter and mess and disrepair after their mother passed away from cancer at the age of 59 and they had to go to the family home to clean it out and get it on the market for sale. The Mommy, Daughter, and son lived behind their front doors in secret. No one was allowed over or inside their home. 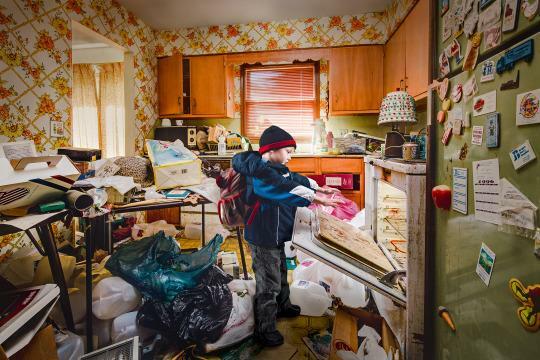 (anyone who follows me knows that story, you don’t have to be what the world labels a HORDER to not want anyone to see how we keep – or don’t – keep house). The articles shows photographs taken by Geoff Johnson (the son) and the purpose for the article and photos is said best in a quote (I would love to say “Martha’s son” but they never mention their mom’s name… So I will just have to say…) the photographer and Hoarders son: “For me, it’s like taking these pictures is showing what we lived through, to hopefully help other people.” and by “other people” he meant everyone who keeps the secret and shame regarding hoarding or living with a hoarder. One of the things mentioned was that their mother (who remains nameless) was in human resources, active in the community took part in school clubs and organizations. Which kind of infuriated me. OMG you mean someone with a flaw did things that benefited society?! OH MY GOD! REALLY!? Listen, this only causes shame because our society has placed a black mark on those who can’t keep house, and who have become so tired of trying to do what they have never learned or have been given the opportunity to learn, organization, that there is such a feeling of futility because we can’t measure up that we just don’t even try. Holy crow people! 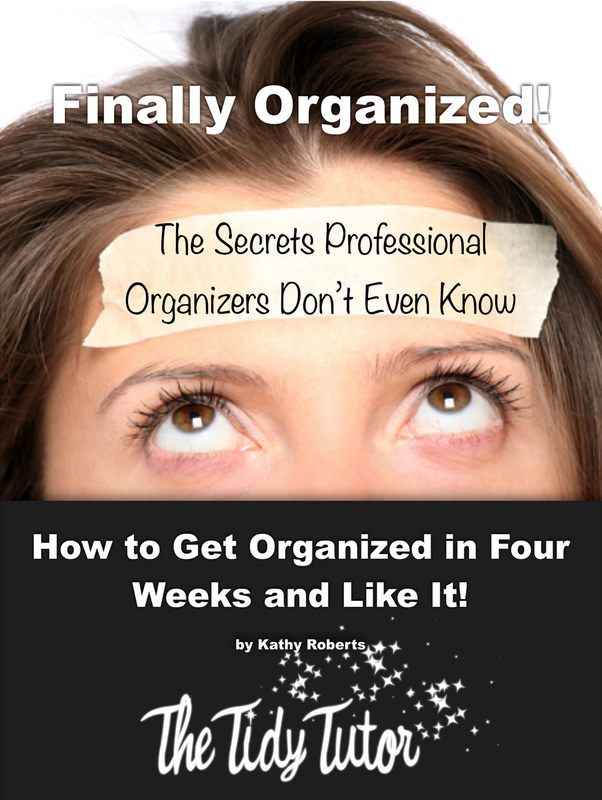 Keeping house, being organized, is a learned skill! Just like music is! The shame is on society. 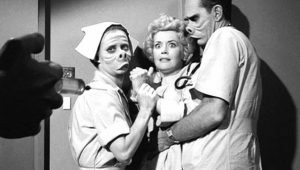 We live in a perpetual episode of “Twilight Zone” an episode that instead of having hideous features as acceptable, living like the quintessential Stepford woman is. Do we berate and judge those who can’t be flexible or can’t enjoy the small things in life while putting off the supposed big things like laundry and dusting? Do we berate and judge the artist and poet because they get distracted by a sunrise or a deep seeded feeling? What if we lived in a world where everyone was expected to be musical? What would happen to those who were not given the opportunity to learn because they were expected to just know? Wouldn’t they be living in shame? Would they let people in their homes to see that there was dust on the guitar frets and the piano keys? I have people in my course who are well past 50 who felt that they would NEVER get their homes cleaned up. No one who gives it attention are left wanting. Why can they with me, and they never could have any other time? It’s freaking simple! They needed to learn how Just like those who don’t have musical ability in-born, needed to learn… I know how to teach them, and love them and accept them as if they need accepting!!!!??? When you read the article it goes into how the kids had to go to the bathroom and shower and bathe without privacy because they couldn’t close the bathroom door. 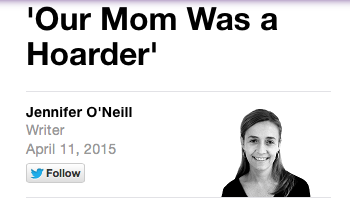 That was not a hoarding problem, that was some kind of parental neglect issue. Some kind of neglect would have occurred in some other area of their upbringing if it wasn’t that. A parent without neglect issues would put up a curtain so they could have privacy. …and here is my course, Tidy Tutor University, so you can take it. I love my students with words that can’t be conveyed. I pray for them and all who need and will come to me, sincerely every single morning. Thank you for being part of my world I look forward to your comments.